Treasurer Chiang Helps Fresno Business Expand from State Treasurer’s Office on Vimeo. A protein drink that tastes like a coffee house gourmet coffee drink? It sounds like an active person’s dream come true! But the Greg and Beth Smith’s personal dream of expanding the product line with new flavors was halted when our economic environment took a turn for the worse; banks were leery of lending, let alone to a start-up business. When they turned to Fresno CDFI the couple was able to secure $30,000 for the expansion and promotion of a new product line. CLICKco. 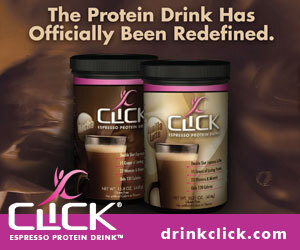 – the developer, manufacturer and distributor of CLICK, a unique product that combines protein and espresso coffee in a great tasting all in the beverage – and founders Greg and Beth Smith made this dream, theirdream, a reality in 2008 when their product hit store shelves across the nation and Canada. CLICK was an instant success. Today CLICKco’s new flavor, Vanilla Latte, is doing well and was rated as one of the “#1 Hot New Releases” in the protein category at Amazon.com in 2010. 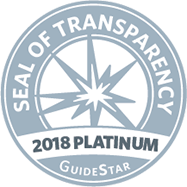 Along with this achievement CLICKco is currently selling in 34 retailers (online, in stores, and internationally), including Vitamin Shoppe Drugstore.com, Vitacost, Netrition, Bodybuilding.com, and Diet Direct. CLICKco, LLC has now launched an All Natural CLICK product line and has been picked up by the largest natural foods and supplement distributor United Natural Foods Inc. and Select Nutrition. You can find out more about this amazing company at http://drinkclick.com/. But not Chai Lee and his family. Chai, 24 years old, potententially spent the majority of his life in the camp. He wanted better; he wanted to go to the United States. Finally, in July 2004, Chai Lee, his family, and 1200 other Hmong refugees were part of the last group of refugees to leave Thailand and be accepted into the United States as part of a resettlement project. Escaping the harsh realities of life in a refugee camp was a victory for Chai and his family, but he had to re-build his life. With limited English and a limited skill set, Chai relied on government programs, supplemented by babysitting for friends and family. A new life in the US offered Chai opportunities to become self-sufficient and he was determined to explore all possibilities. Chai liked the idea of owning a business. He would be his own boss; he would receive a steady income; and he would be the family breadwinner. He found out about a janitorial franchise that was relatively inexpensive, offered extensive support, and didn’t require advanced skills. While he had saved a little money, Chai neede a loan, though had no credit history and very little collateral. He knew that a traditional bank was out of the question. in 2009, Chai Lee walked into the Fresno Community Development Financial Institution because he had heard about its loan fund for refugee clients. Fresno CDFI approved Chai for an $8,000 loan even though he had no established credit history and a 2000 Toyota Camry was his only collateral. Getting the loan was only the first step in making the leap from refugee to first-time business owner. Chai had a lot to learn about regulations, permits, and basic business management. He received business coaching on how to write a business plan, file for the proper permits, file taxes, and track business receipts, expenses and other financials. The staff guided him to create a profit and loss statement, which he used to file his 2010 tax returns. Because of Fresno CDFI’s collaboration, Chai runs Chai’s Cleaning Service at full capacity and has his legal bases covered. He enjoys his work and considers owning a business one of his greatest personal accomplishments. He finds satisfaction in the fact that he began his life in America with nothing, and now he owns a business that enables him to provide for his family. *To seek refuge meant risking one’s life. Travelers to the camp risked malnutrition, injury, abandonment, getting lost, or being killed by Vitnamese and Laotian forces, who were the enemies of the US during the Vietnam War. The Hmong people helped US forces. Al and Christy Kroell had been serving in the military 20 years when Al experienced the unthinkable. He had an accident that quickly ended his career. It took over 52 surgeries in subsequent years to rehabilitate him back. Several years after Al’s accident, Christy sustained a near fatal car crash that left her disabled as well and had no choice but to leave her job at the Navy Credit Union. In 2004, Al and Christy were no longer affi liated to the military base in Southern California so they decided to move to Squaw Valley. The couple endured years of trying times as Al continued to have multiple corrective surgeries to reach rehabilitation. They hoped that one day, the hard times would end and they would start a new business together. Over the years, Al always enjoyed making wood engravings as keepsakes for his friends. With his life long passion, Al decided to start a business. He sought help at the local Small Business Administration SCORE Chapter. This group of volunteer business experts guided him as he completed his business plan. When he started to look at his financing options, the reality of capitalizing a startup business dawned on him. A laser engraver is an expensive tool and banks typically want to see 2 to 3 years’ experience before lending to a business. After months of planning and preparation, Al and Christy applied and received an equipment loan from Fresno CDFI. 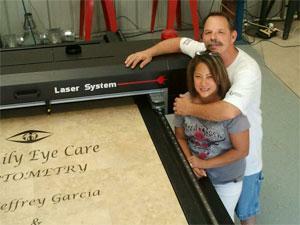 They bought the machine and opened their doors; ChristyAl Plaques & Engraving was born! After experiencing years of disappointment trying to find quality tamales at local restaurants, Liz Sanchez realized that if her family wanted tamales done right, they would have to make them as they had done for so many years at home, but on a restaurant level. In 2010, Fresno CDFI provided Liz with the startup investment she needed to fulfi ll this dream. “Fresno CDFI saw the potential of CASA de TAMALES when regular banks just seemed to look the other way,” says Liz. 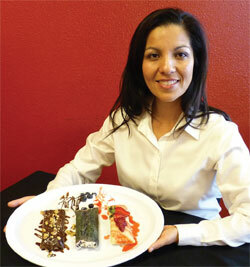 CASA de TAMALES offers not just traditional tamales, but entirely new varieties. These new offerings began to change the way people saw tamales. They could now be enjoyed by vegetarians, vegans, even those with a sweet tooth. Liz didn’t stop there. She realized the need for gluten-free options. So, after months of research, CASA de TAMALES updated its entire menu, making all her tamales Gluten-Free. This was all made possible due to a decision to make her own masa. By making its own masa (from non-GMO corn), CASA de TAMALES could ensure that no lard or shortening would ever be used. CASA de TAMALES went even further, paying homage to Tamales’ true Native American beginnings by doing its own ‘Nixtamalization’ process and Stone-Grinding its masa. Over the past few years, her dedication to making creative high quality tamales has earned CASA de TAMALES a strong, loyal following, not just at the restaurant, but at many outdoor venues, too, via Farmers Markets, Mobile Food Happenings, Community/Charitable Events, Corporate Functions and Special Occasions. This year, CASA de TAMALES expects to be able to offer its tamales to a whole new market through retail outlets. This exciting new opportunity will make their offerings available beyond the Central Valley, and perhaps even beyond California. Body del Sol Medical Spa is an unlikely success story of a company started at the depths of the recession in 2009. What was the secret to its success and growth over the past 4 years? ‘Determination’ says owner Ayde Mendibles, ‘it was tough and there were plenty of setbacks along the way, but I found that persistence and hard work really does pay off.’ Prior to starting the business, Mendibles explored day and medical spas throughout the western United States. She selected the best practices from her exploration and brought it to Fresno. Now her clients can receive everything from eyelash extensions, spray tanning, weight loss, CoolSculpting, chemical peels, HydraFacials, medical grade microdermabrasions, facials, massages, laser hair removal, and hair/nail services all under one roof. Organic products – skin care, nail care & hair care. All health & beauty services under one roof, so you don’t have to drive around place to place wasting gas! Owner’s Tips: Marketing and networking is the key. You may work hard and finally open your business but you need to tell people what you are and where you are! Everybody knows somebody and you have to get out there and use all your resources and look for new resources along the way. This is a constant practice! Once you stop or take a break, people get busy and forget, but if you are constantly reminding them what you do, what you offer and you can offer them the best service and the best value than anyone else out there – then they will come, they will return and they will refer! Owners Doug John and Francie Denis opened their first Legend Music store in Manteca, CA in 2011. They expanded to a second Central Fresno location in July, 2012 by acquiring Sound Stage which had deep roots in the Fresno music community. The store serves musicians of all walks of life particularly music programs at surrounding schools. When they acquired that location, they were not ready for the utility bills that started to come in. They tried to save energy by operating with only half the lights, but the store just looked dark and dingy. They heard about the Fresno Energy Watch program offered through the Fresno County EDC and RHA, Inc., which provides energy efficiency upgrades to lower a business’ energy bill through approved contractors. After qualifying for a Powerloan with Fresno CDFI, they were able to install a complete set of new lights. 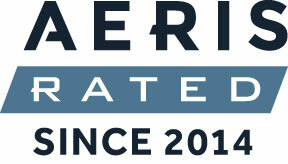 Financed over 12 months, the loan payments are lower than the energy savings. They were floored with the savings, their bill was cut in half, only taking four months for the new lights to pay for themselves! Now they are looking at doing the same to their store in Manteca. Valley Prep Academy Charter School (VPA) provides education with a mission to be a safe and healthy environment providing opportunity for all students to become lifelong learners through excellence in character development, academic skills, and physical fitness in a low-income community in Central Fresno. 2014 marks the 10 year anniversary of the school’s commitment to the surrounding neighborhoods, where one in four families live below the poverty line. The school is a source for education as well as nutrition where 80% of VPA’s students qualify for free or reduced lunch. In 2013, the school’s landlord put the building up for sale and the administration was faced with the prospect of having to move or buy the building themselves. When they approached the bank for a real estate loan they couldn’t qualify for the full amount necessary because of the building’s special purpose status. Fresno CDFI worked closely with the VPA administration and the bank to finance the gap between what they qualified for and what was needed. The funds saved the school thousands of dollars in moving costs and kept the school rooted in the community it has grown up in. Valley Prep Academy continues to serve 315 students and employs 30 teachers and administrators. They have since hired 5 new staff to keep up with their growth.